Christmas is a very social holiday. 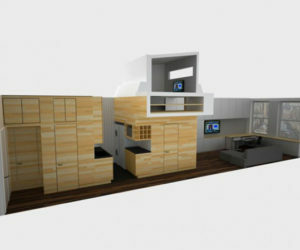 It’s when we exchange gifts, we get together with friends and family and we receive guests. 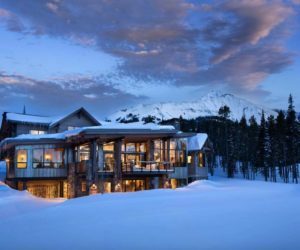 That has plenty to do with the fact that we’re always preoccupied to make our homes look beautiful and welcoming around this holiday. 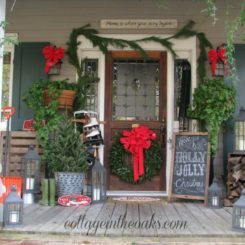 We decorate Christmas trees, we hand garlands and string lights and we also decorate our porches and front doors so everyone knows we’ve embraced the spirit of Christmas. 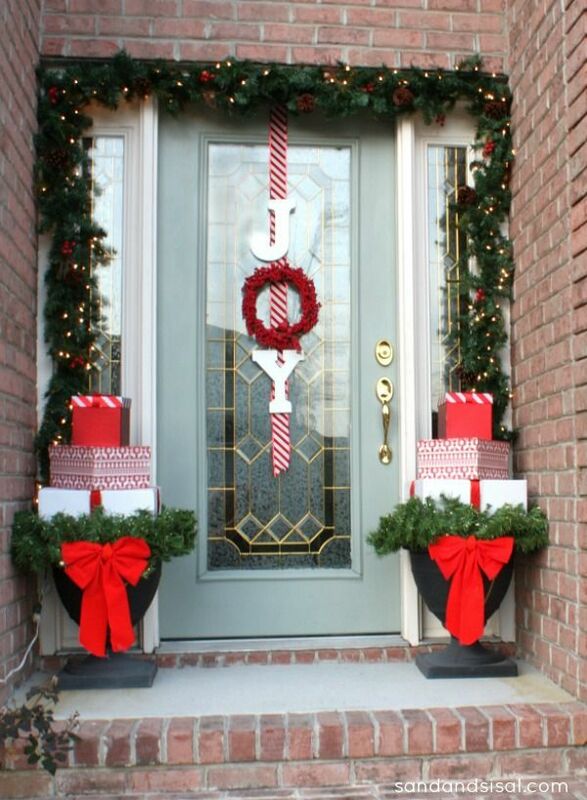 Speaking of front door decorations, check out some of the ideas we prepared for you this year. 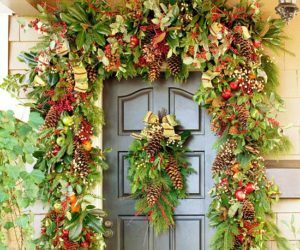 Hanging a wreath on the front door is a classic way of decorating the house around holidays but why stop at one wreath when you can hang two? 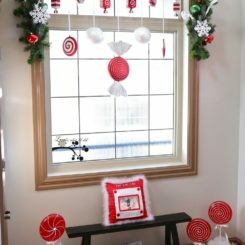 You can combine them into a large snowman-shaped wreath like the one featured on thewhimsicalwife. 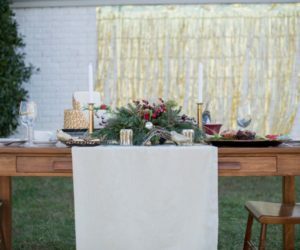 If you want to craft this, you’ll need two vine wreaths (25 cm respectively 35cm), two battery-operated string light sets, black cardboard or paper, red satin ribbon, white spray paint and some faux foliage. 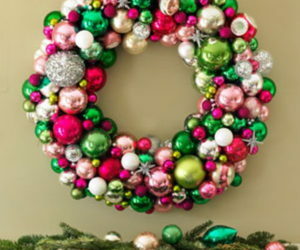 Decorating a wreath is fun and exciting and it helps to already have some idea of what style you prefer or what sort of ornaments you’d like to use. 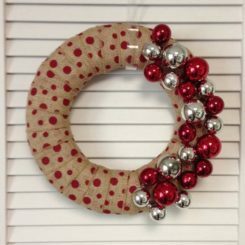 If you’re using a wreath foam frame, you have of options. 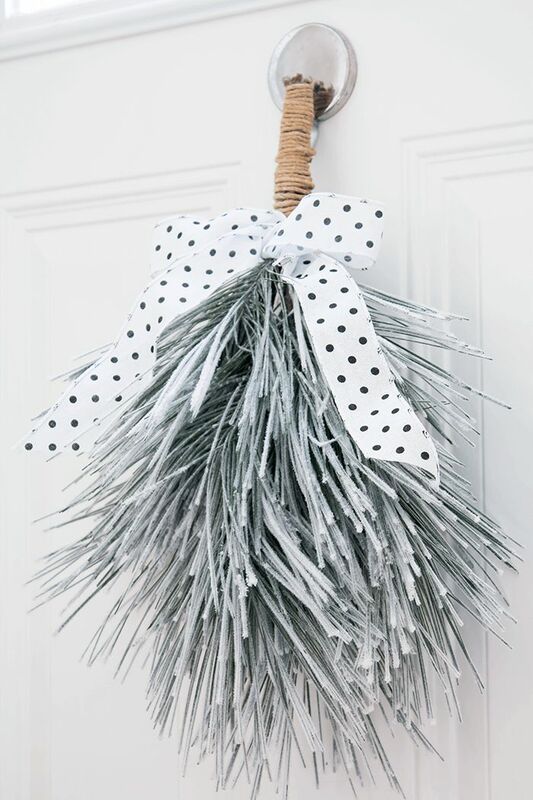 You could make a big burlap bow or decorate it with fir tree clippings and berries for a classic touch and you can even add cheerful signs and ornaments. 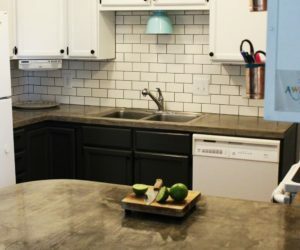 This farmhouse design from thecraftingnook is super charming and should be a good source of inspiration. 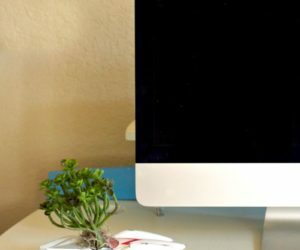 If you’re not a big fan of classic wreaths there are plenty of alternatives you can choose from. 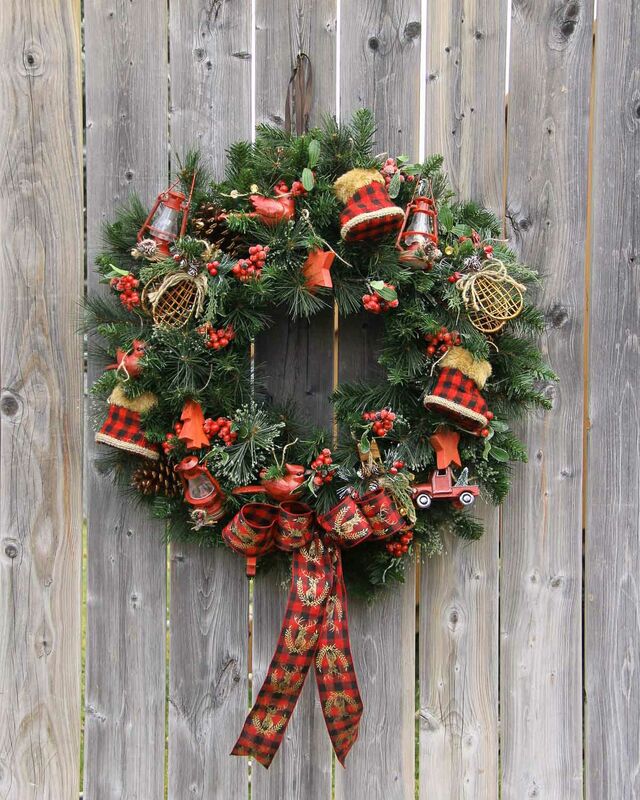 For example, a simple “wreath” made of springs of faux snowy pine sprigs tied in a bouquet looks pretty awesome. Wrap some twine around the stems and then tie a cute ribbon about the bouquet and hang it upside down on your front door. 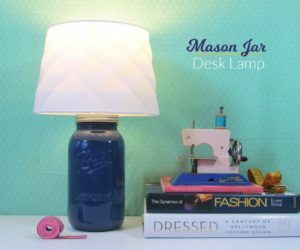 Check out aprettyfix for more details. 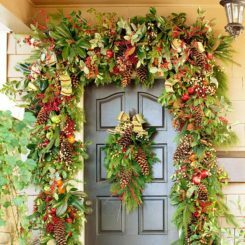 The way in which you plan your Christmas door decor has a lot to do with the impression and ambiance you’re trying to create with your ornaments. 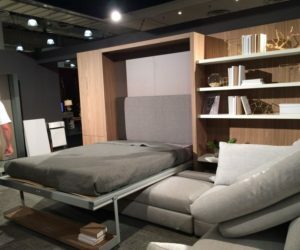 If you’re going for a homely, comfortable vibe then you don’t really have to think about this too much. A classic green wreath decorated with traditional little ornaments should be just what you need. 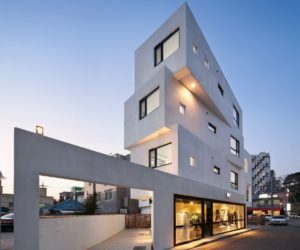 Curious how that would look like? 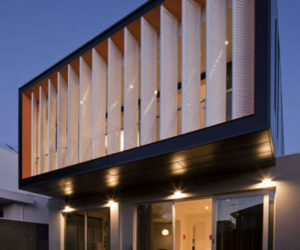 Check out aprettylifeinthesuburbs. 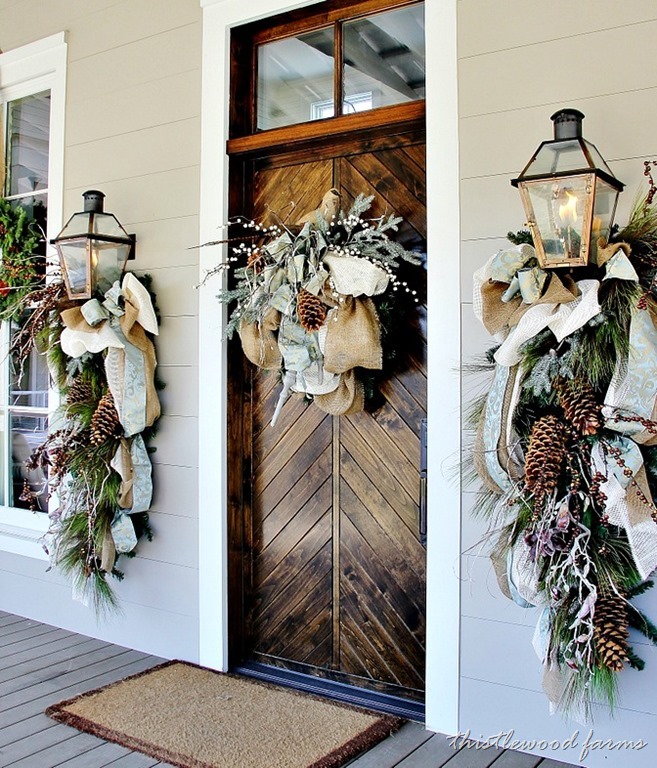 Wreaths aren’t the only things you can hang on front doors to make them look festive. A mini Christmas tree can work just as well. 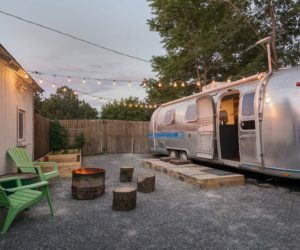 You can decorate it with some battery-operated string lights and maybe a few ornaments and a nice bow too. 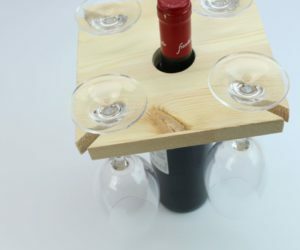 This quirky idea comes from madincrafts. 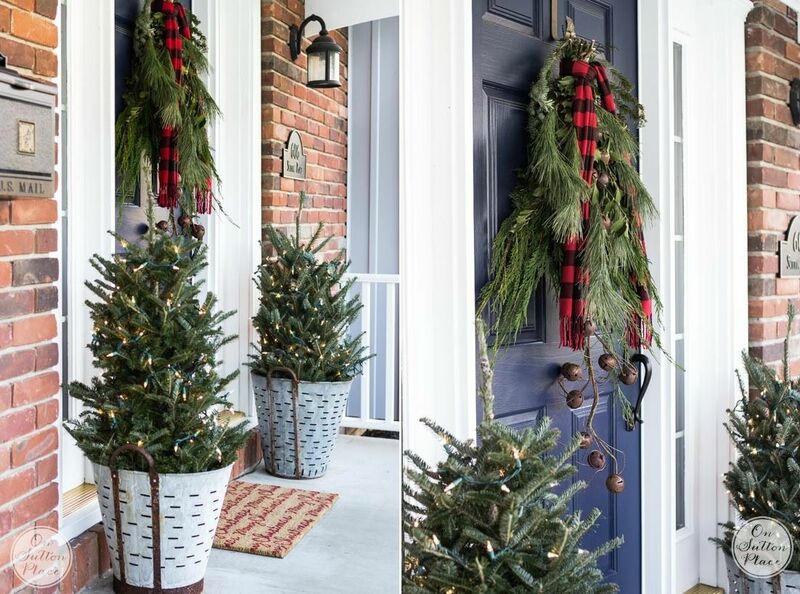 Speaking of mini Christmas trees, a couple of them can really spruce up your entryway and give your house some great curb appeal. 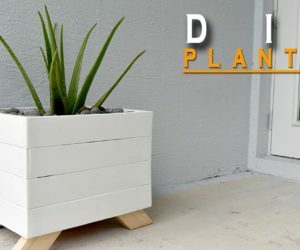 Put them in lovely planters or, if you’re going for a rustic or farmhouse look, use metal buckets or wooden crates instead. 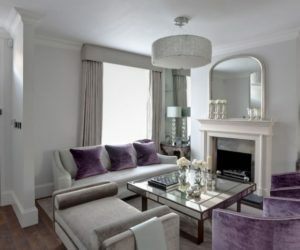 You can decorate them with string lights, like these ones featured on onsuttonplace were. 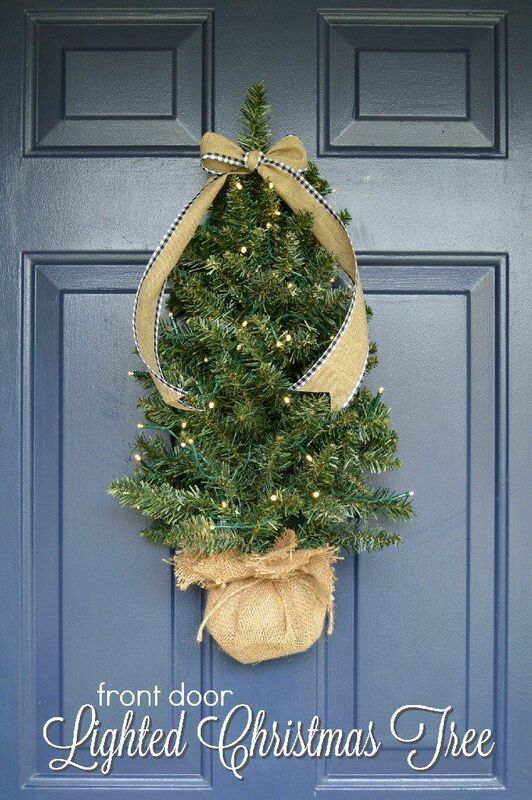 As you see, you don’t have to overcomplicate your Christmas front door decor when simple is just as good. 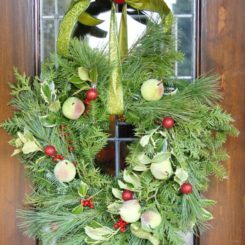 In addition to the beautiful wreath you plan on hanging on your front door this Christmas, a green garland could also look festive. 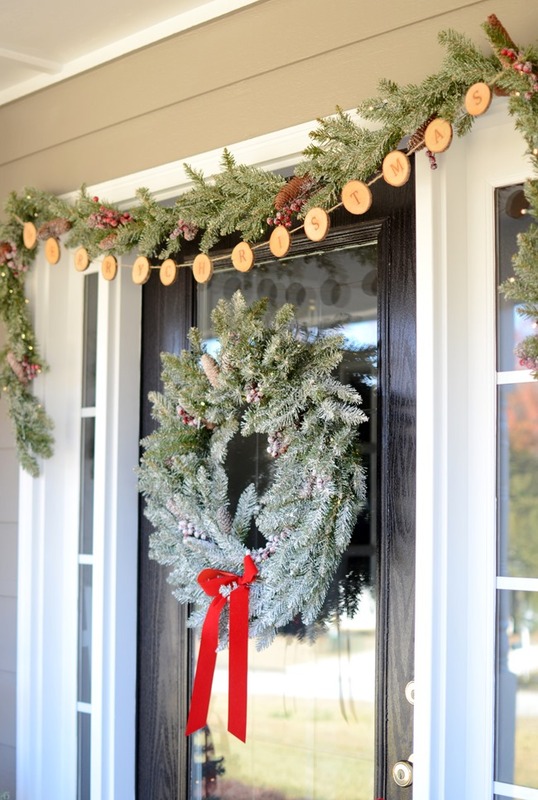 You can hang it above the front door, sort of like this one from thefrugalhomemaker is. We love the Merry Christmas wood slice banner. 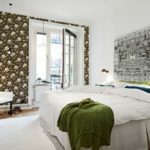 It completes the decor in the most charming and chic way. 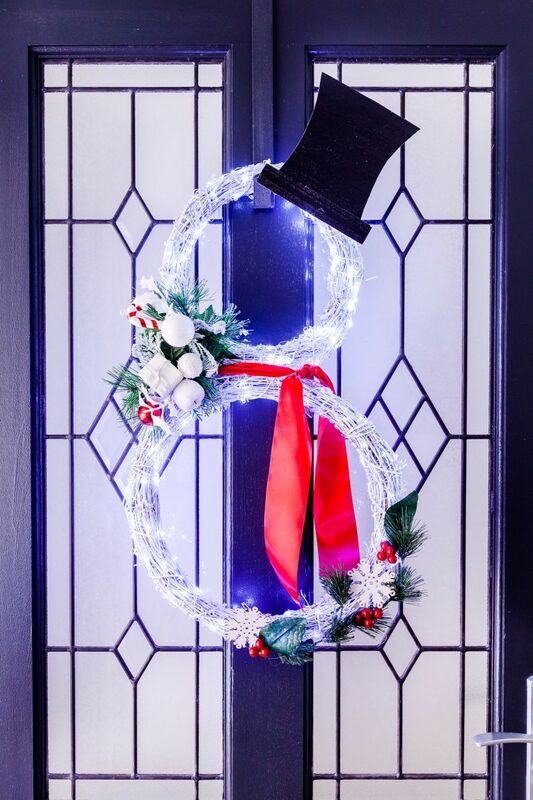 A nice idea when it comes to Christmas front door decor is to combine modern minimalism with traditional charm and coziness to create an extra welcoming display which also suits your home. 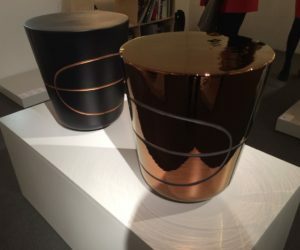 Check out sadandsisal for a few inspiring hints. Out favorite is the JOY sign displayed on the door. The O is a wreath which is lovely. Sure, decorating the front door with a festive Christmas wreaths is one of the easiest things ever but why stop there? 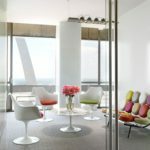 Look around and think of what else you could do to beatify your entryway. 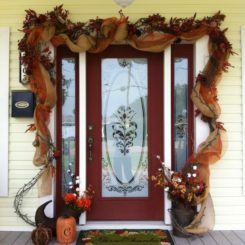 Perhaps you could decorate your sconces or your windows or maybe you could hang garlands on the porch. 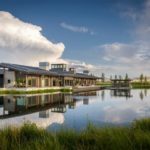 In any case, we suggest checking out thistlewoodfarms first. 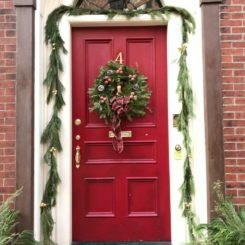 Red and green is the traditional Christmas color combo so maybe you’d like to use it when decorating your front door and the area around it. 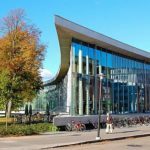 There are all sorts of ways in which that can be achieved. 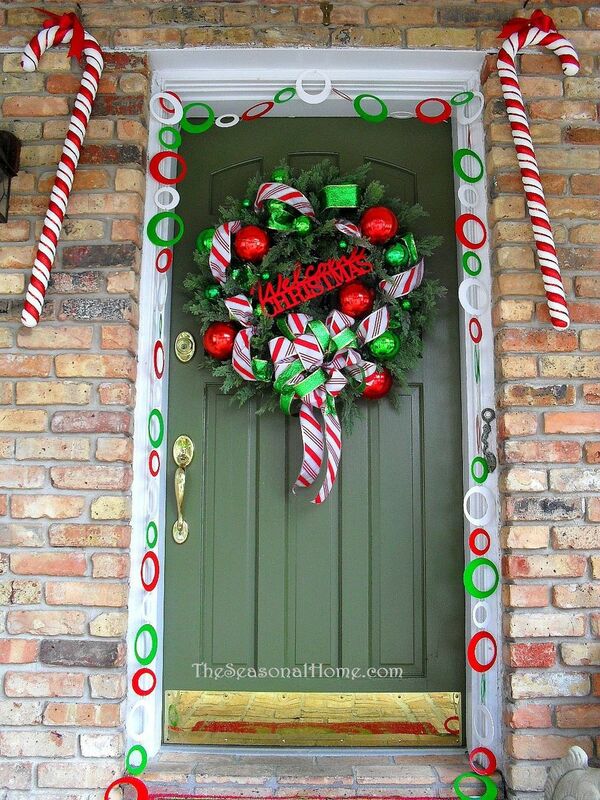 start with a green wreath on the front door. Frame the door with garlands. 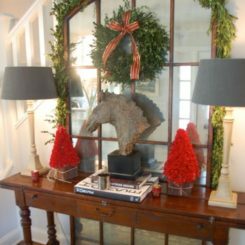 The red accents can come in the form of cute bows, Christmas stockings or berries and seasonal flowers. The setup featured on myuncommonsliceofsuburbia is quite inspiring. 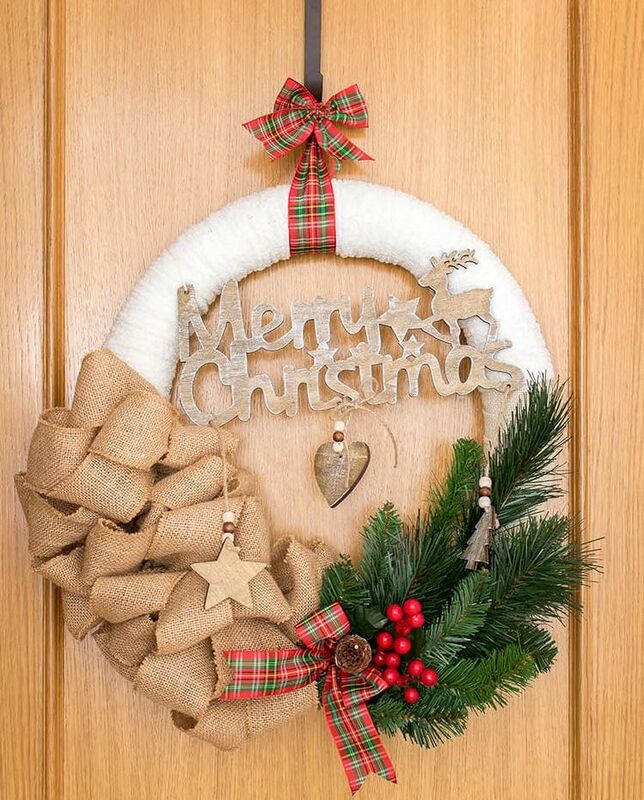 The Christmas wreath featured on theseasonalhome is one of the most festive and best-suited for the occasion. 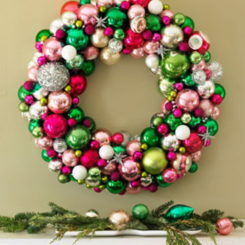 The reason we say this is because this is a wreath made of Christmas ornaments. Additional ornaments were used here to decorate the garland and the mini trees which frame the door. We were so focused on the wreath that we didn’t even notice that crate full of presents at first. It’s such a lovely feature and the red and white stripes match the ribbon on the garland and have a candy cane-inspired vibe. 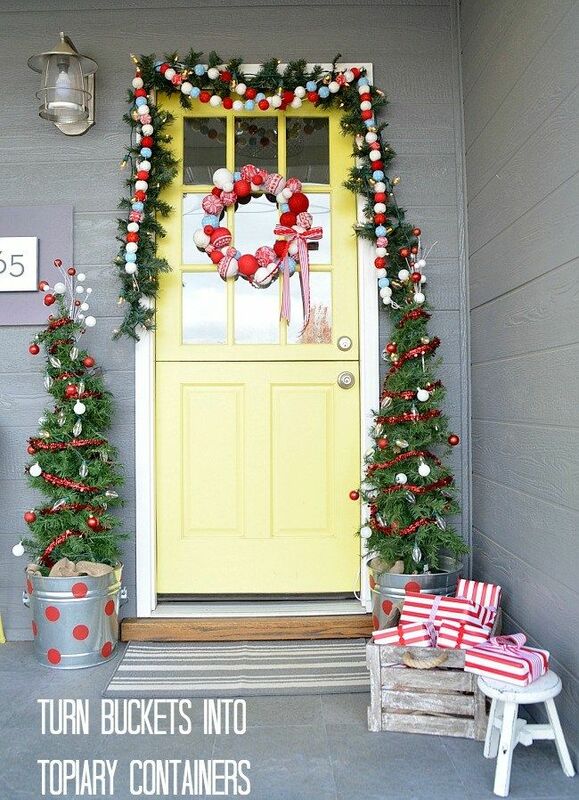 Check out these giant candy canes placed on either side of this front door. 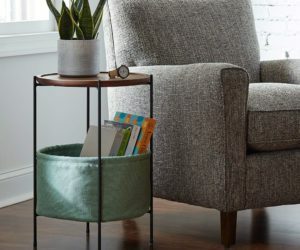 They definitely add cheer and a playful vibe to the decor. The wreath is decorated with matching striped ribbon so that’s a cute detail too. Then there’s also the assorted garland that’s also cute and cheerful. 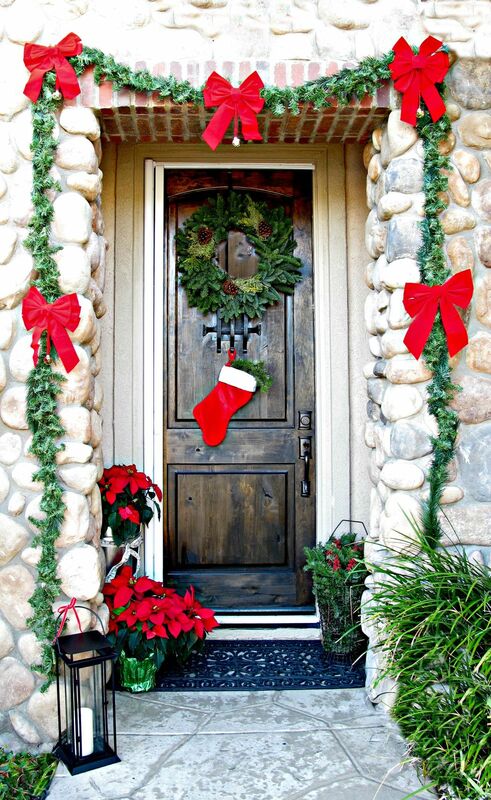 If you’d like to find out more about Christmas front door decor ideas like this one, check out theseasonalhome. 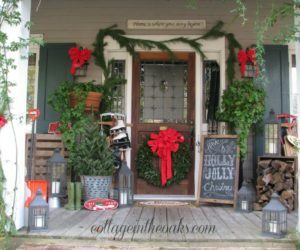 If you’re lucky enough to have a front porch, you have an opportunity to make it look really special and charming this Christmas. 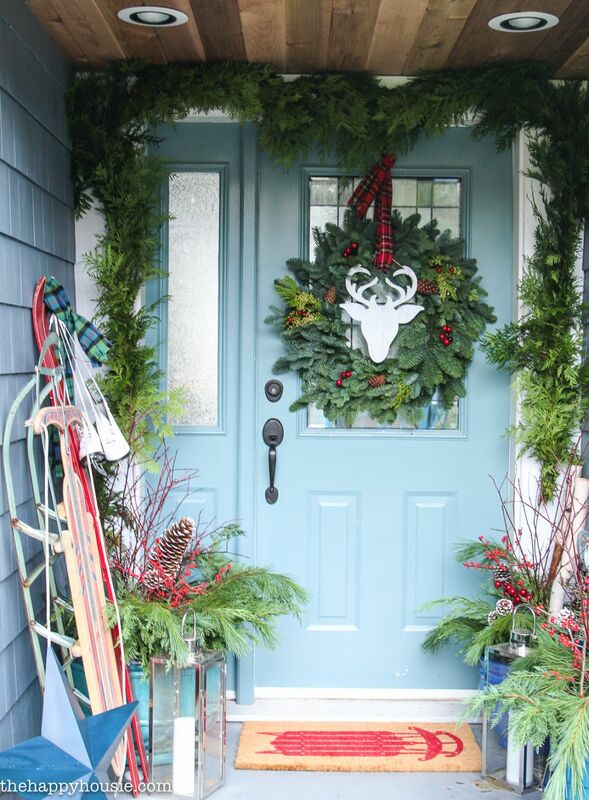 In addition to all the things you can hang on your front door and the walls that frame it you could also decorate your porch, as small as it may be, with festive planters and themed items such as a sled, bells, an actual Christmas tree, a Christmas-themed welcome mat, etc. 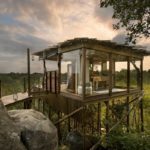 You can find more ideas on thehappyhousie.